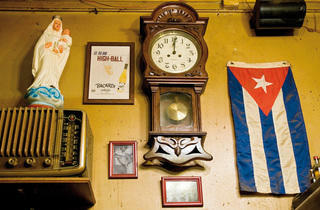 For those of us who haven't been to Cuba, the Raïm bar looks just like those old photographs of Havana we've seen. 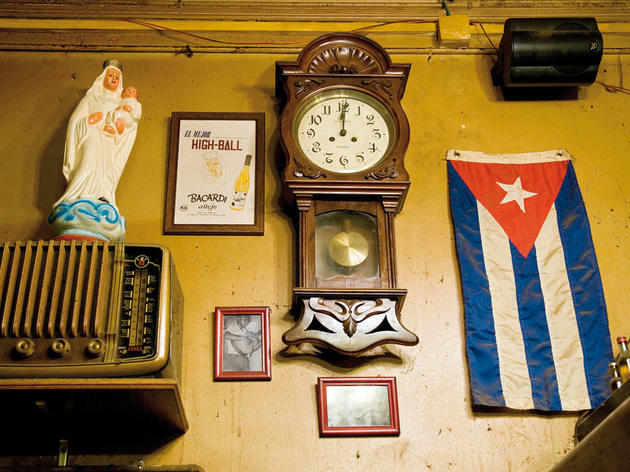 The flaking walls, black-and-white pictures of Cuban Son singing stars, layers of dust, speakers playing Cuban music, and enthusiastic staff serving up mojitos. Raïm has stood on its corner in Gràcia for over a century, opening every night of the year, and it's always absolutely full, just like its mojito glasses. See how long it takes you to read all the varieties of rum on the menu.